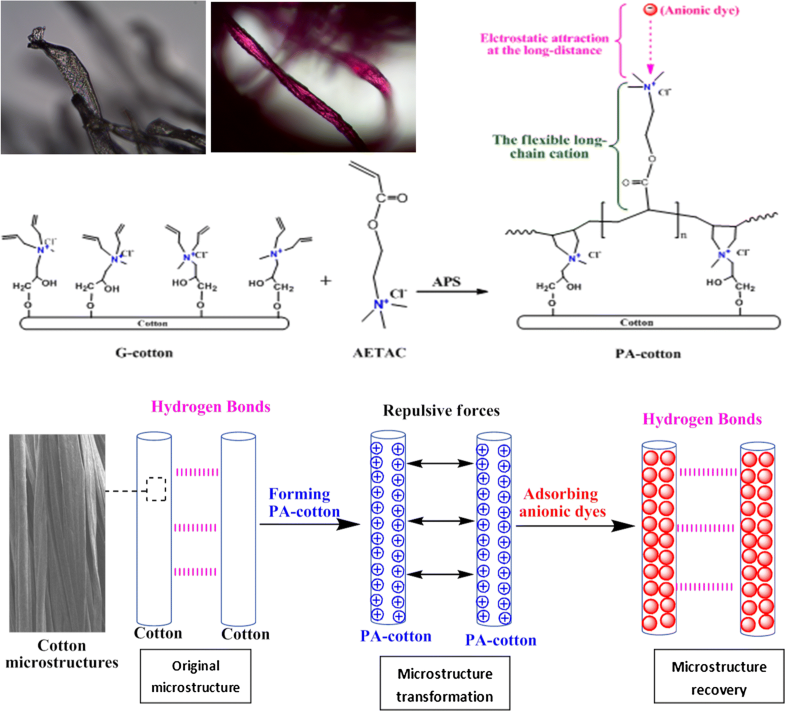 A new poly(acrylethyltrimethylammonium chloride) cotton with flexible long-chain cations was prepared by surface polymerization of acrylethyltrimethylammonium chloride and grafting cotton with unsaturated bonds at 50 °C for 1.5 h. A series of microstructure transformations of poly(acrylethyltrimethylammonium chloride) cotton adsorption were first observed by Fourier transform infrared spectroscopy, X-ray photoelectron spectroscopy, and X-ray diffraction technologies. It was discovered that a long-distance flexible inductive effect occurred during poly(acrylethyltrimethylammonium chloride) cotton adsorption, causing a highly efficient purification ability for treating dyeing wastewater. The adsorption capacity of poly(acrylethyltrimethylammonium chloride) cotton was 292.18 and 2702.70 times higher than that of the widely used activated carbon and common natural cotton, respectively. In addition, poly(acrylethyltrimethylammonium chloride) cotton achieved the relatively good recyclability with a desorption technology and it was the first realization of self-purification of the desorption waste solution in a recycling application to avoid secondary pollution. 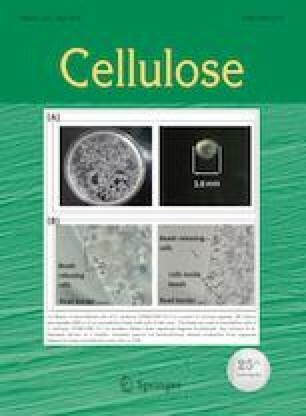 Co-first authors: Chunli Song and Hongyan Li. This work was financially supported by the National Nature Science Foundation of China (Project No. 21866016).